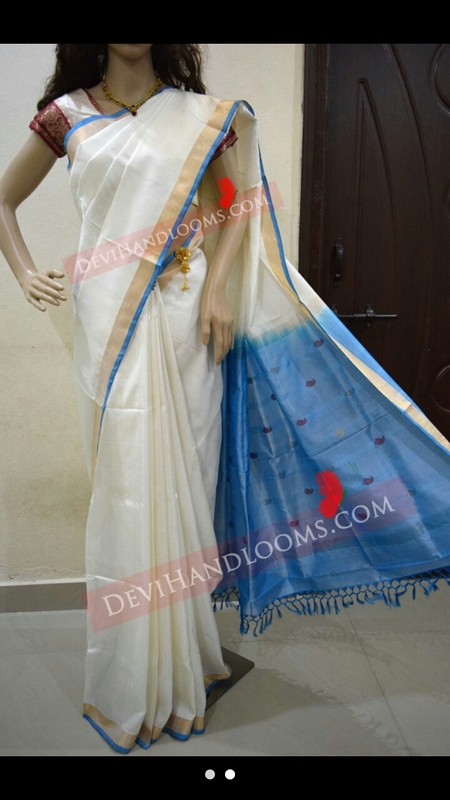 Description: Rare color combination of Uppada white color saree. 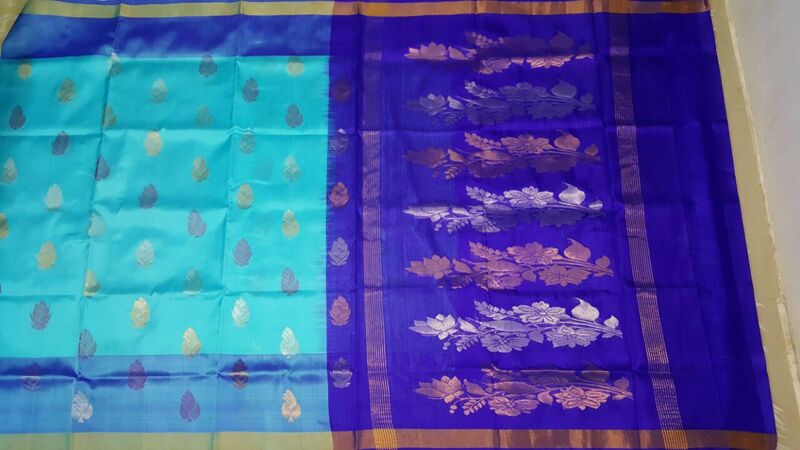 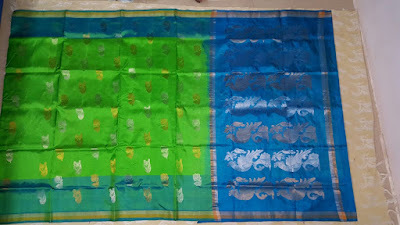 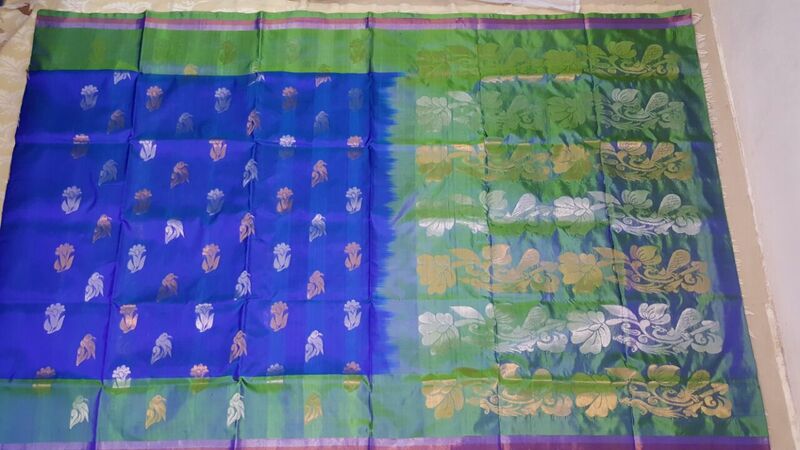 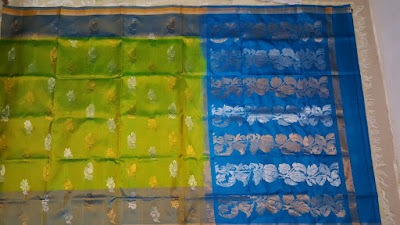 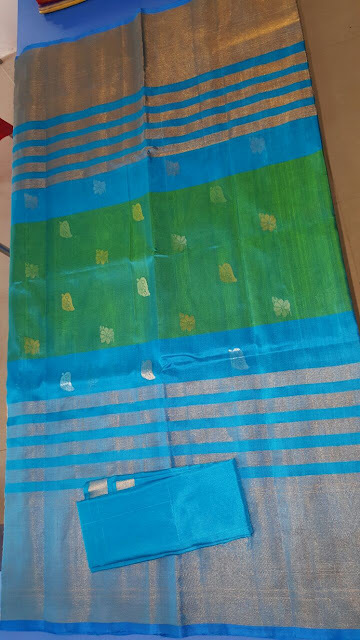 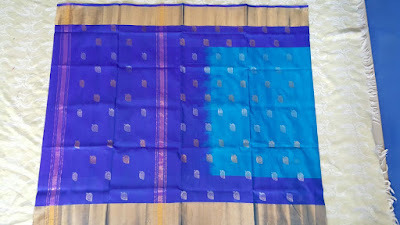 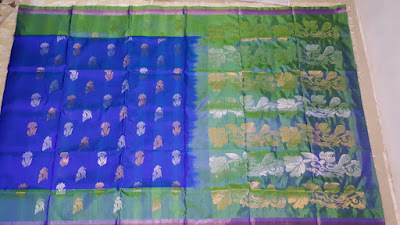 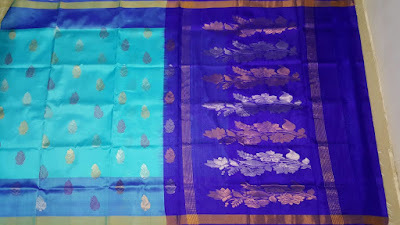 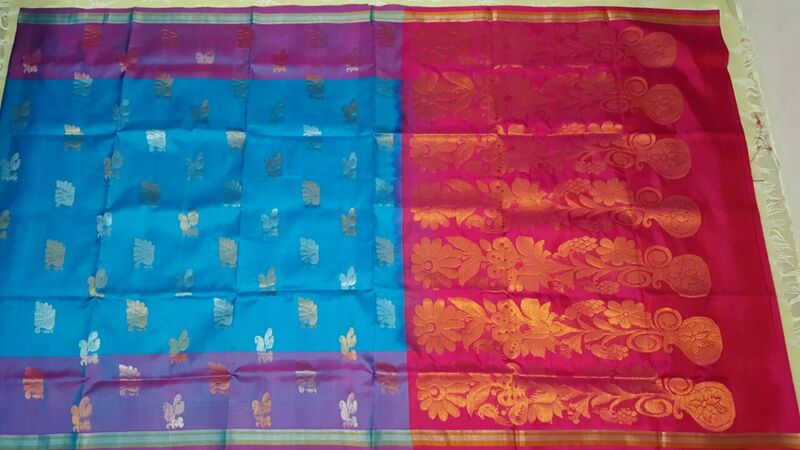 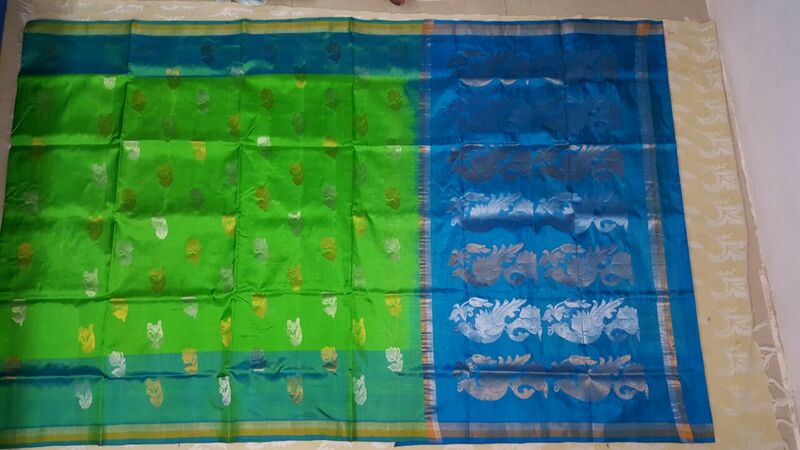 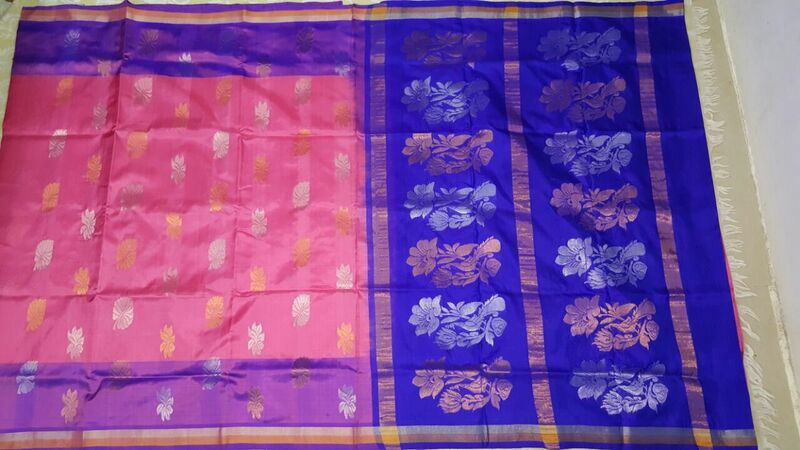 pallu has sky blue color and mango butta. 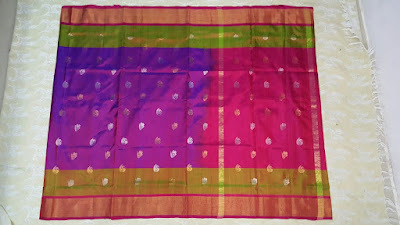 it's highlighting pallu. 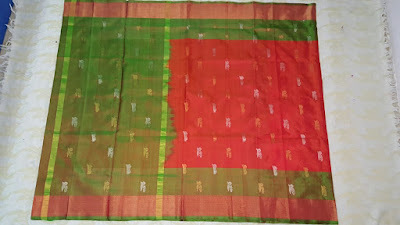 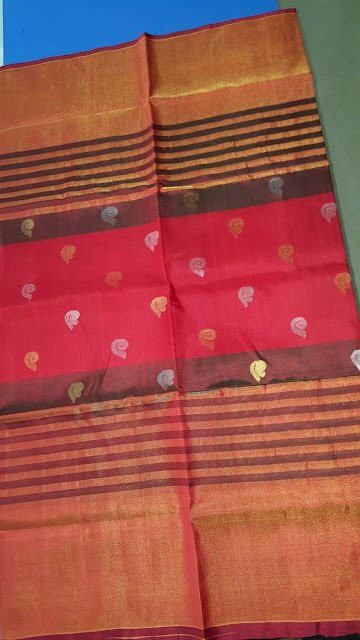 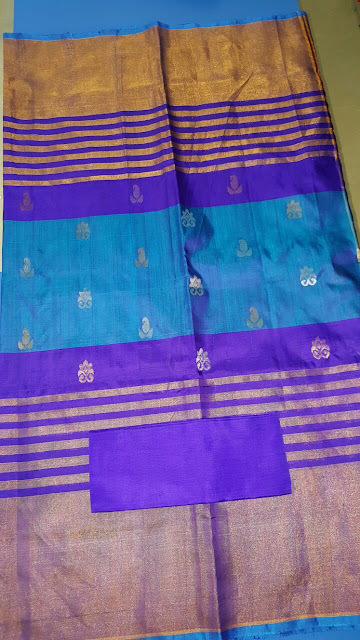 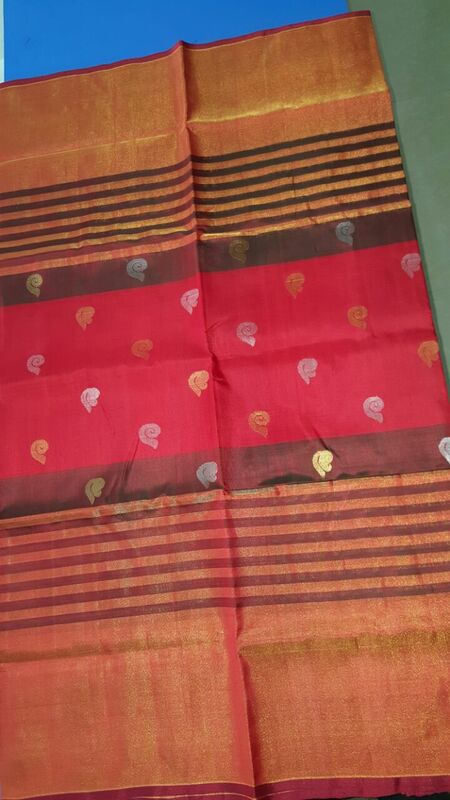 the butta woven in handloom only, the woven technique is Jamdhani. 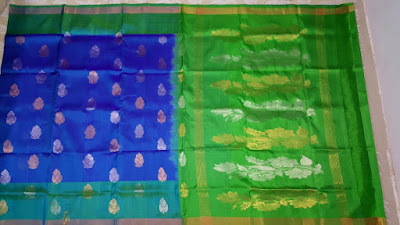 it was ancient technique. 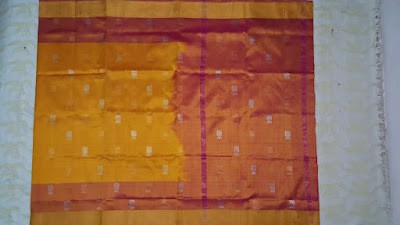 if you check mango butta either sides are same. that is the specialty of the weaving jamdhani. 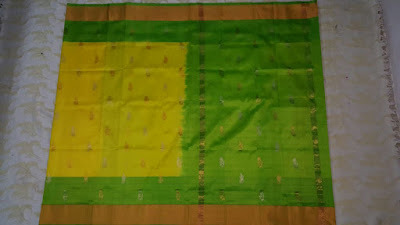 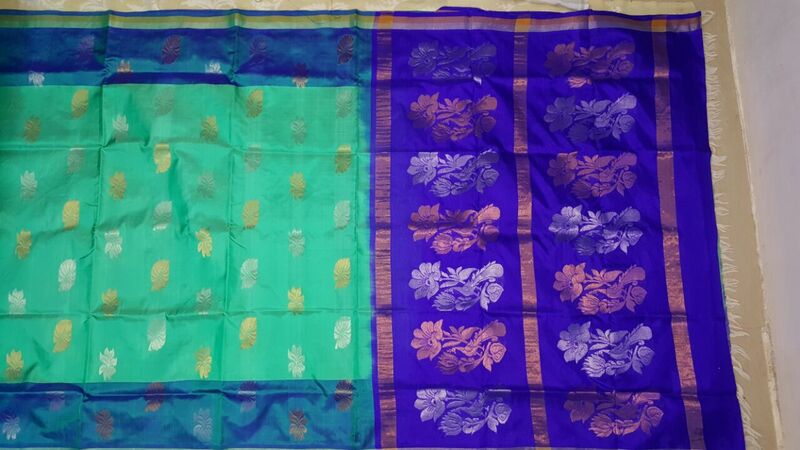 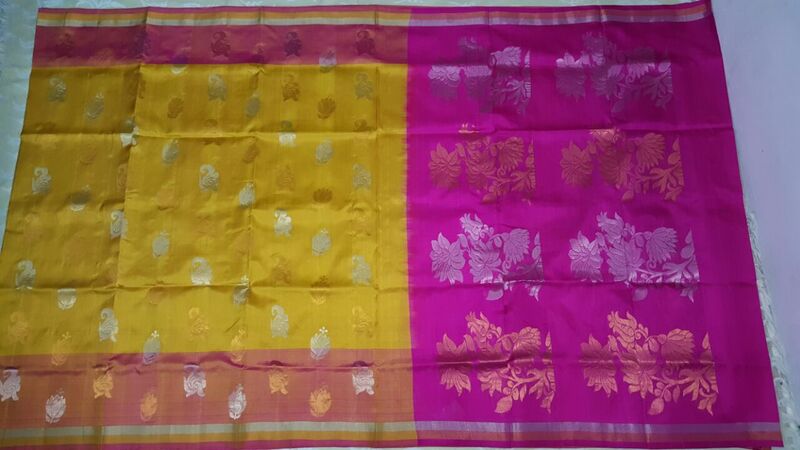 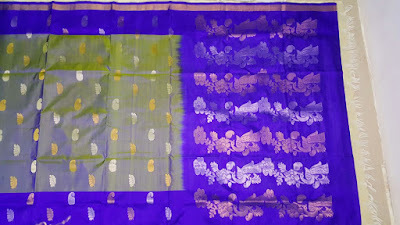 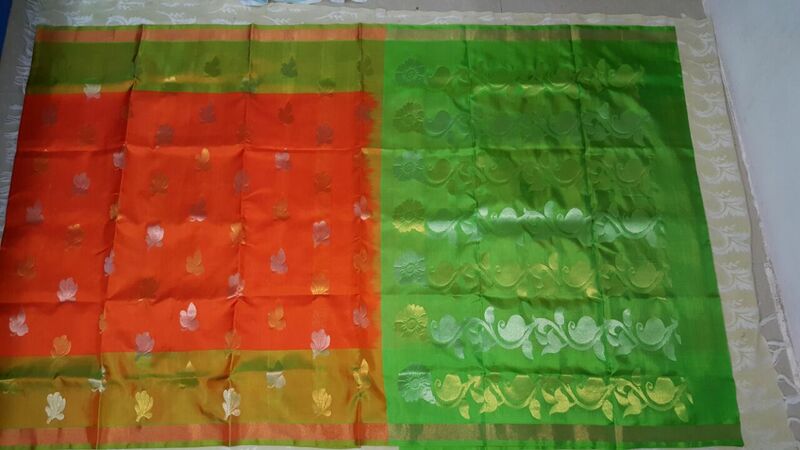 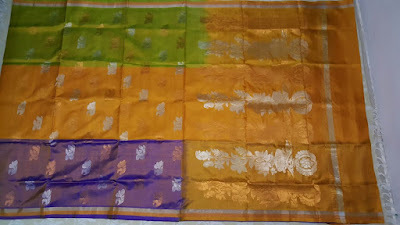 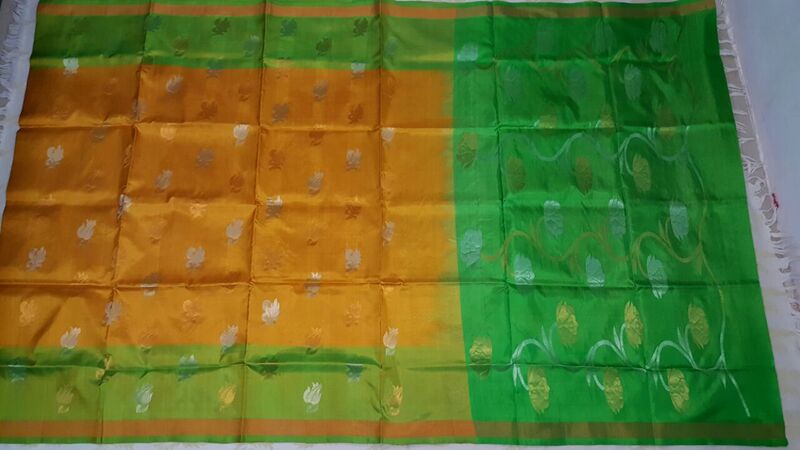 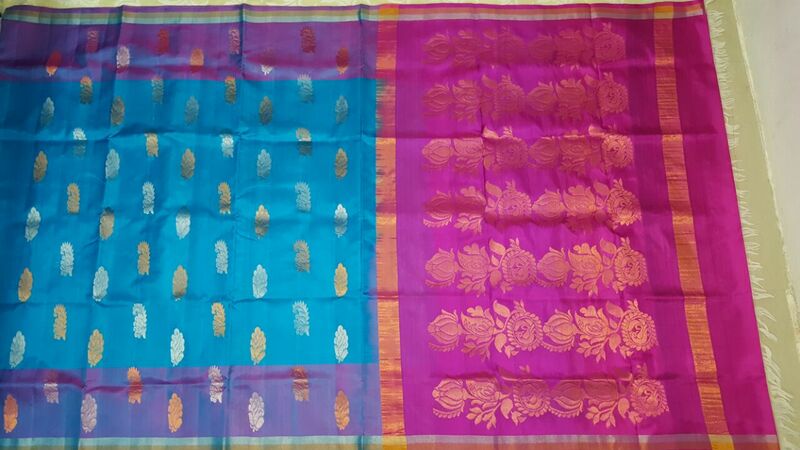 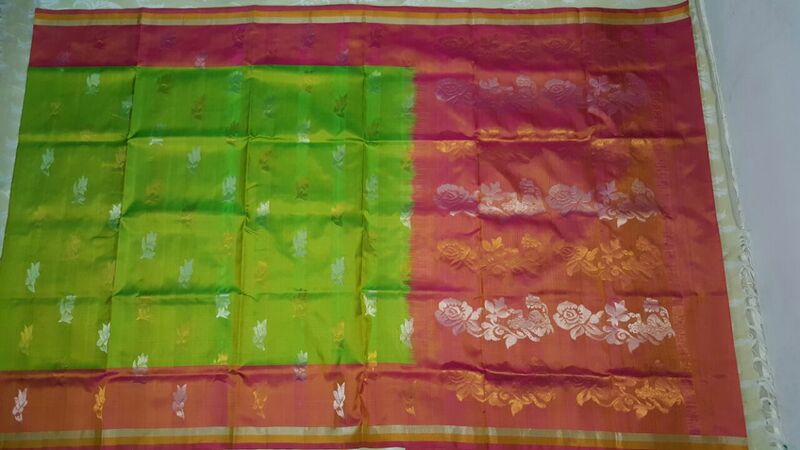 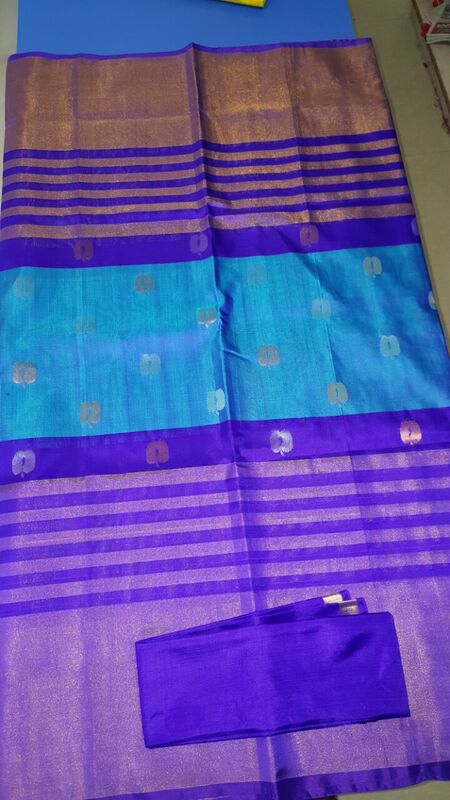 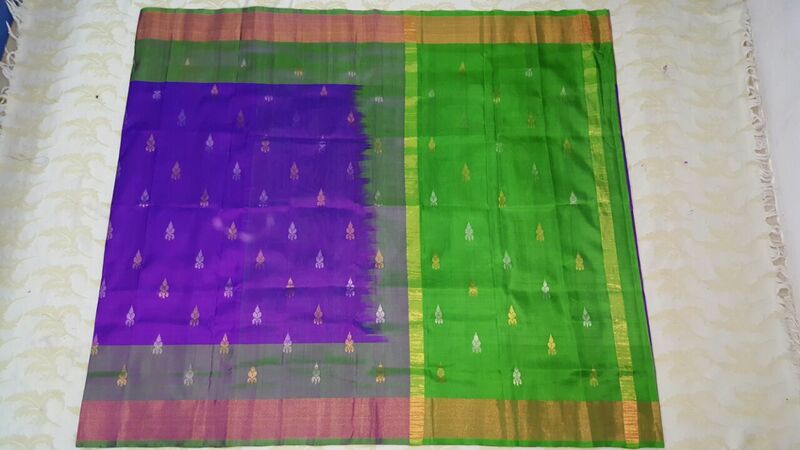 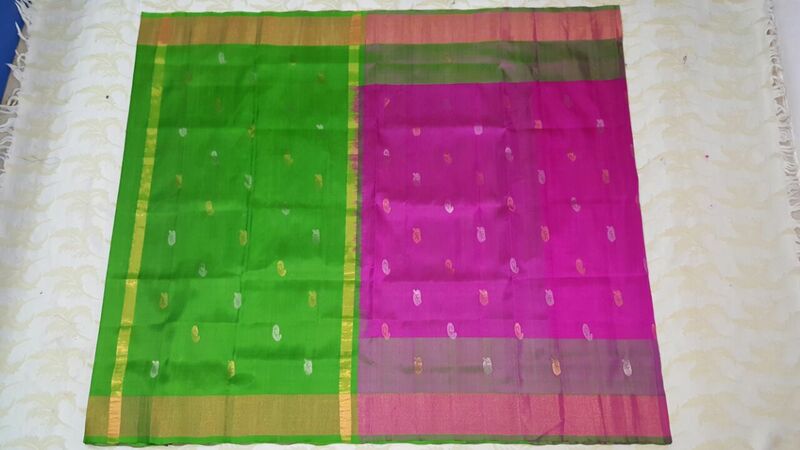 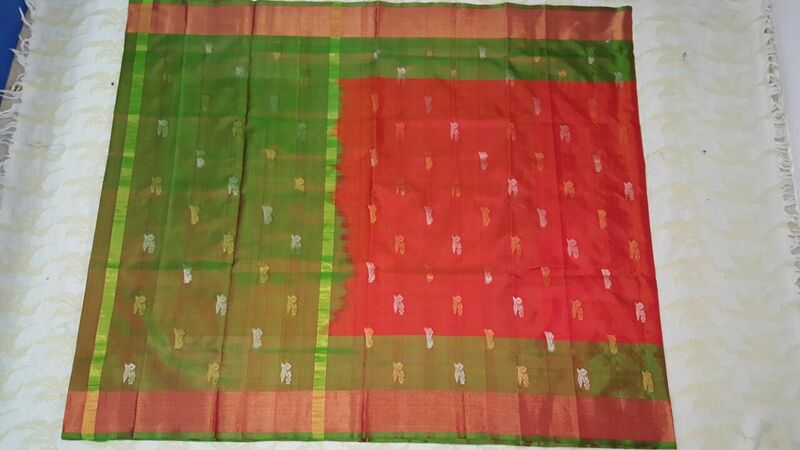 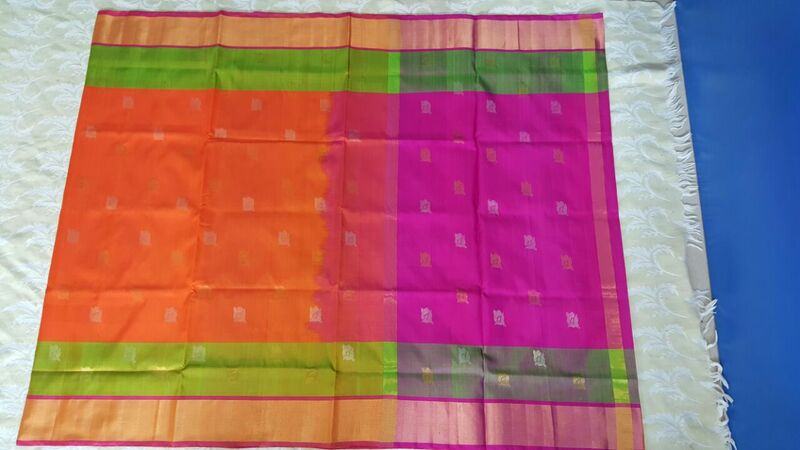 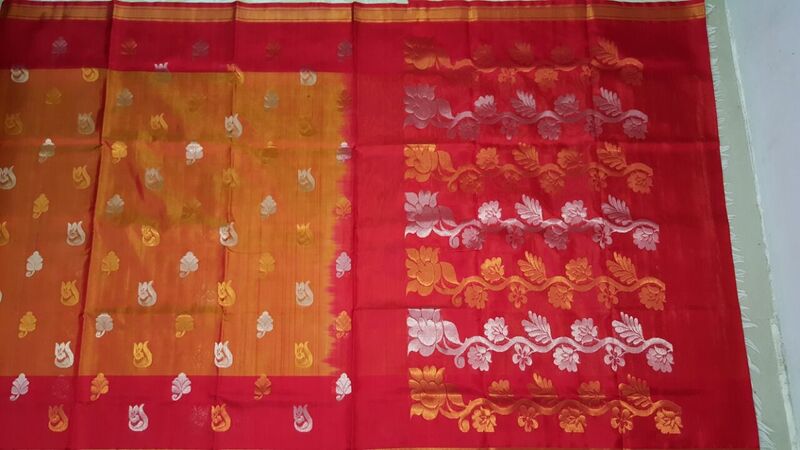 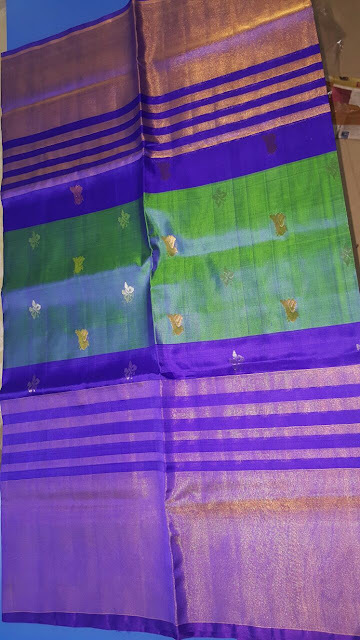 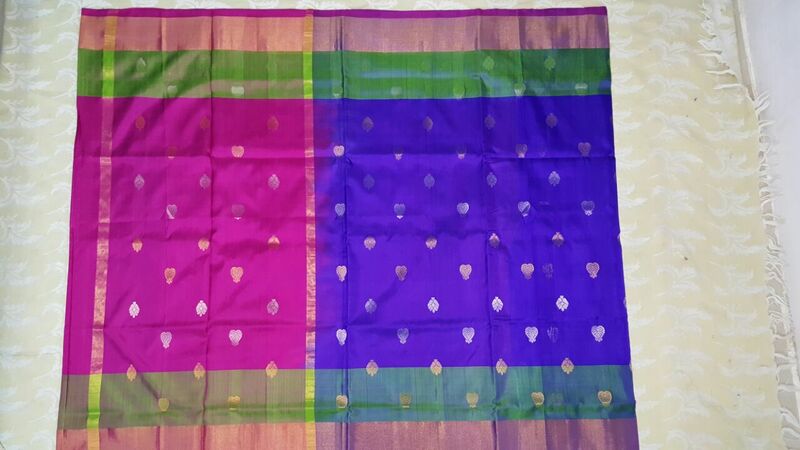 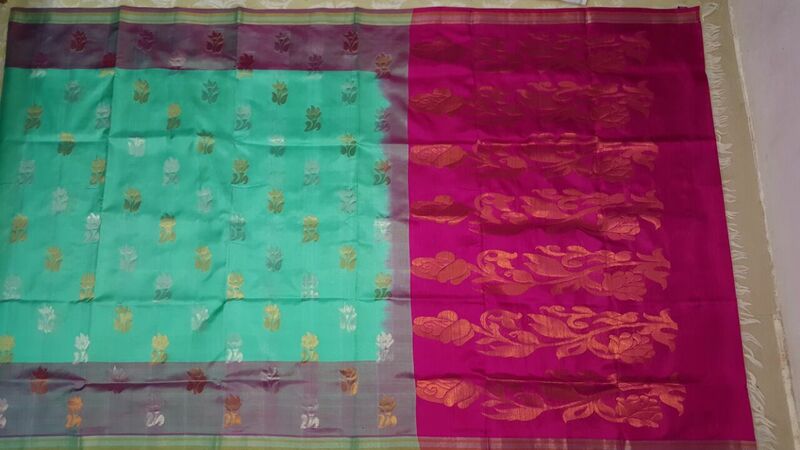 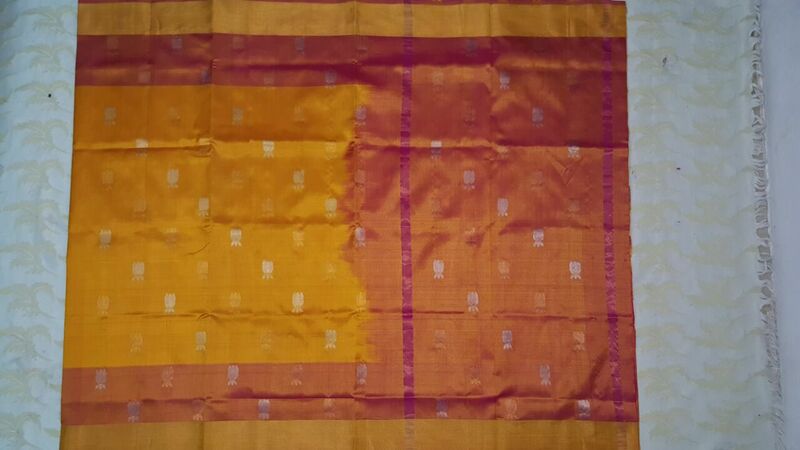 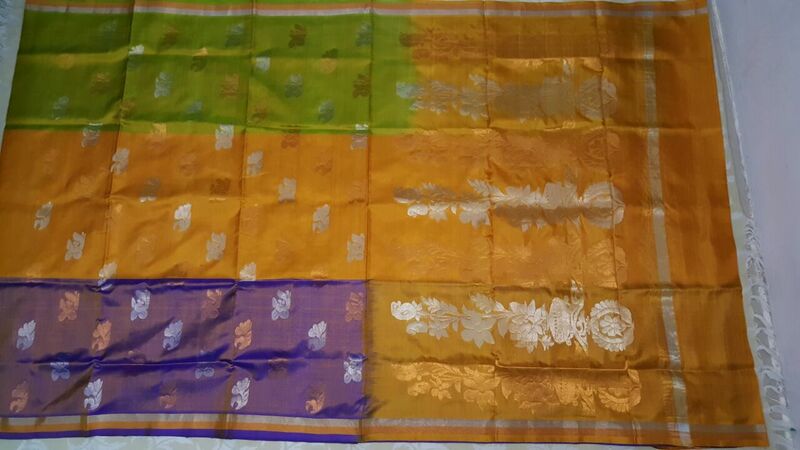 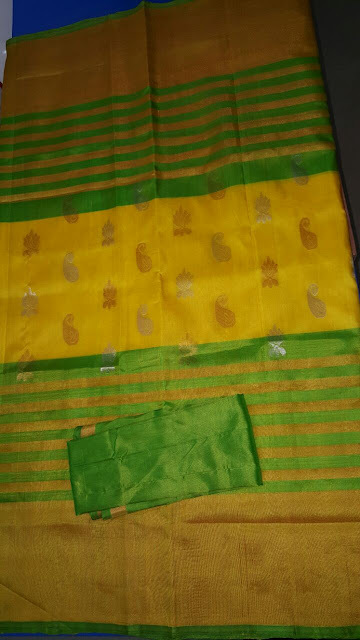 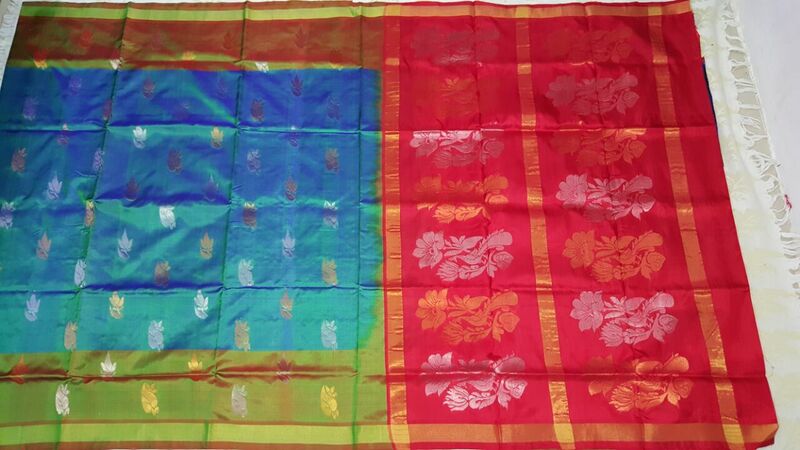 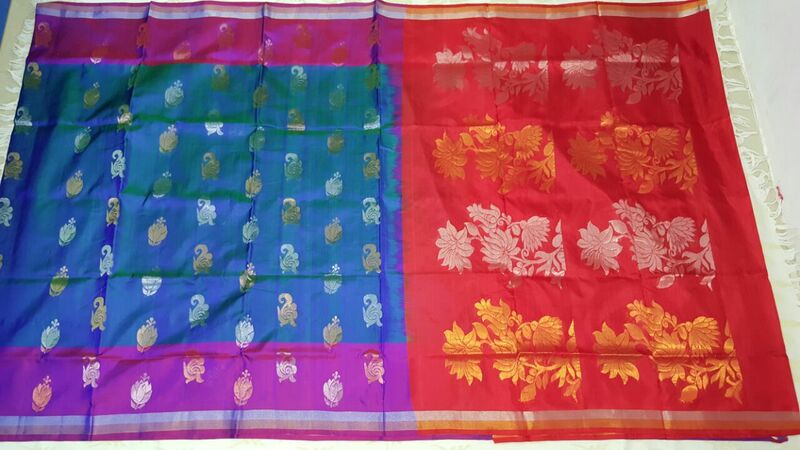 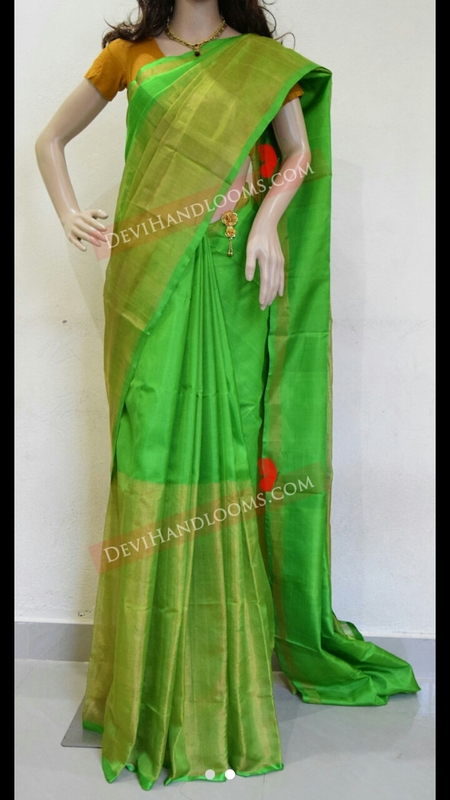 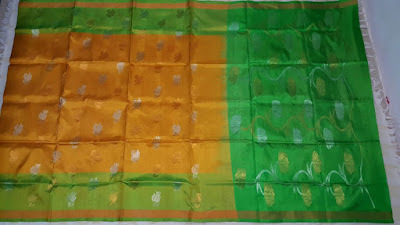 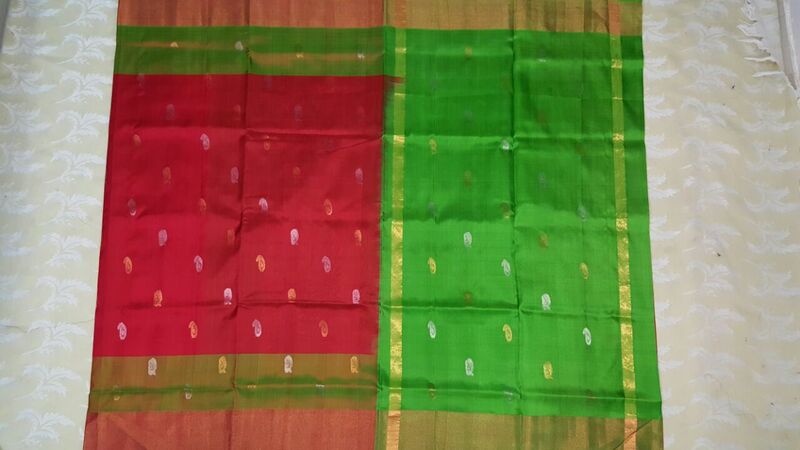 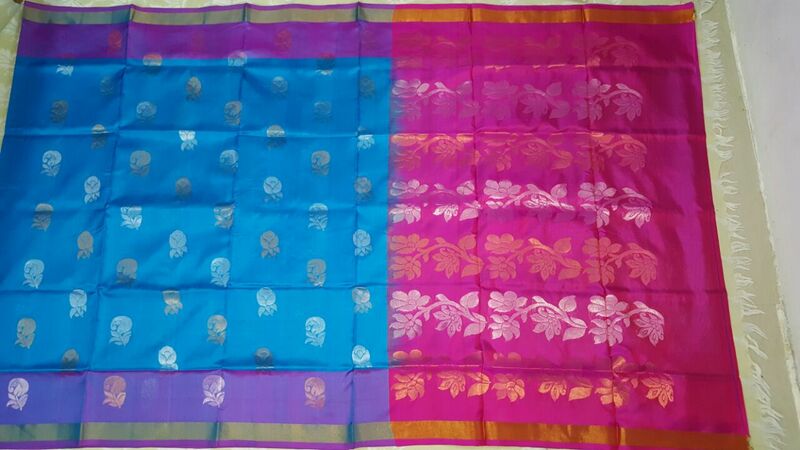 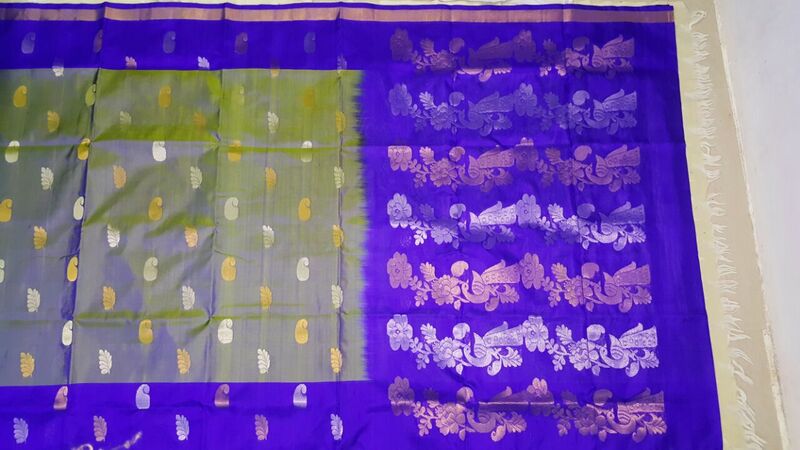 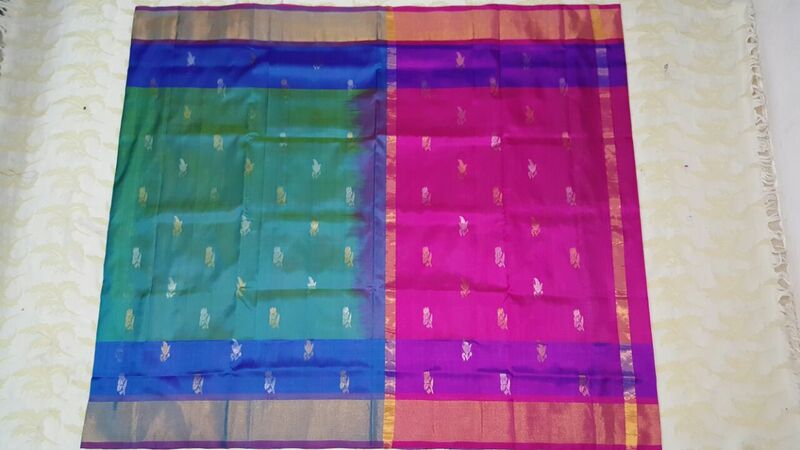 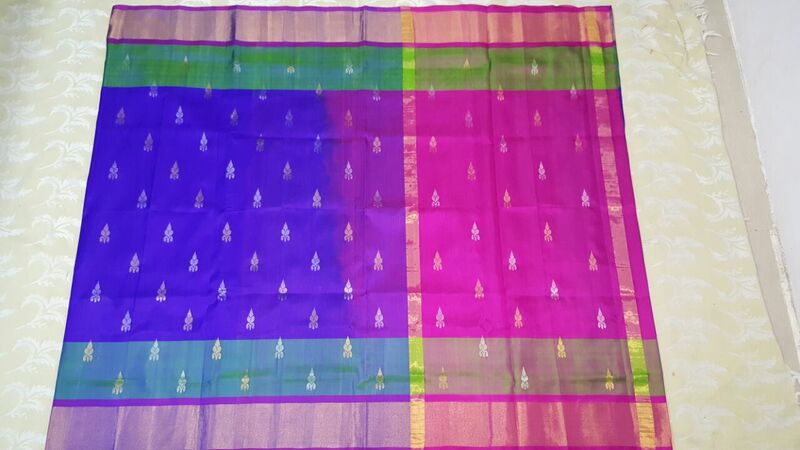 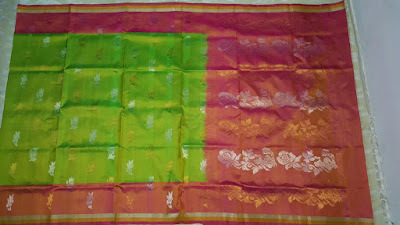 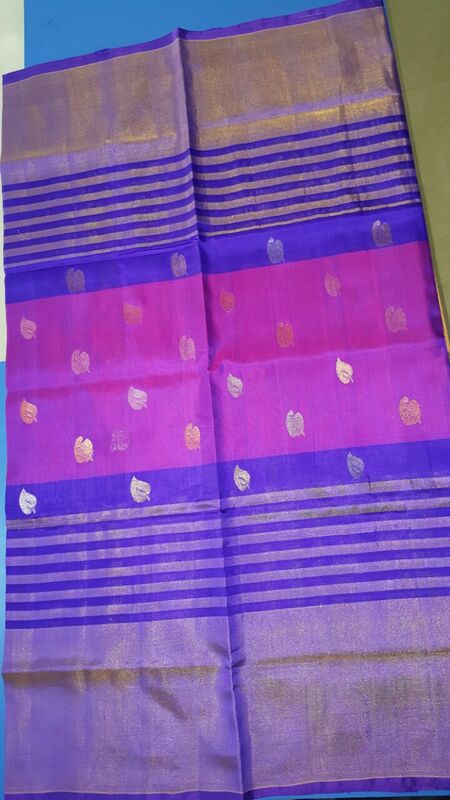 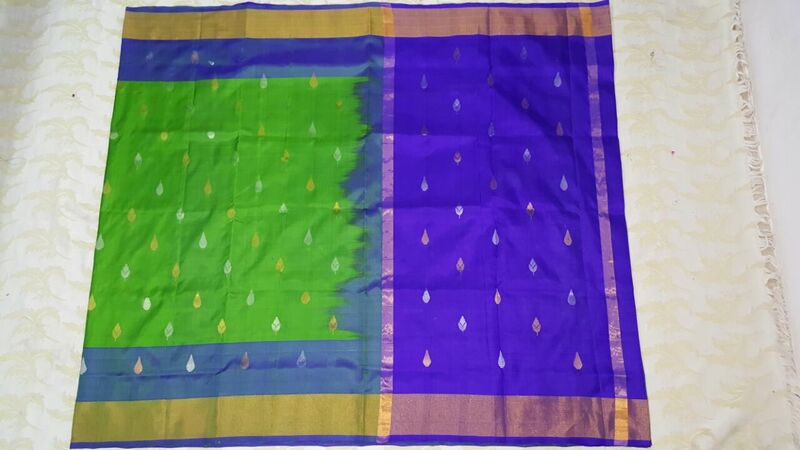 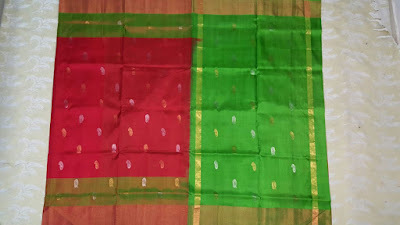 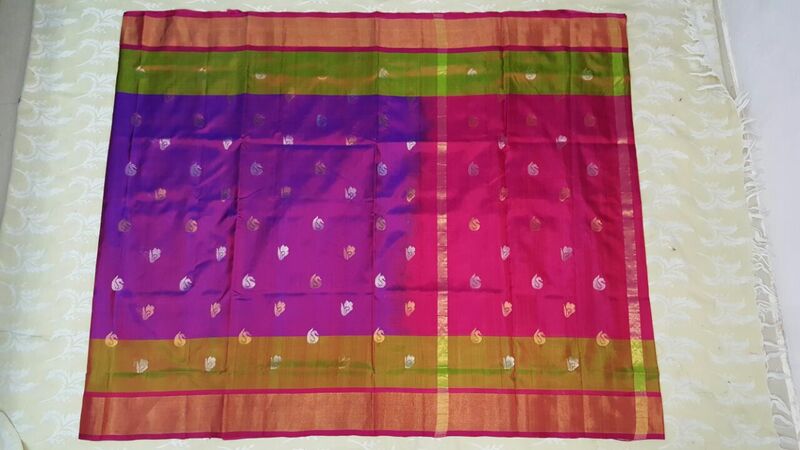 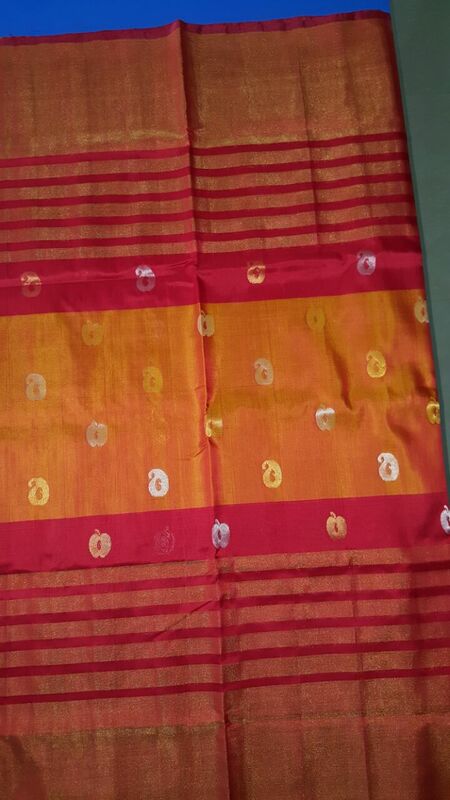 Description: Uppada cream color silk saree comes with small checks. 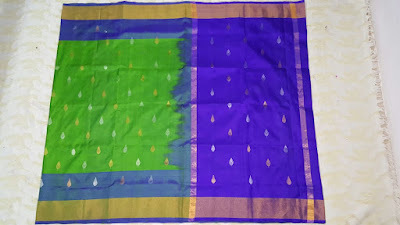 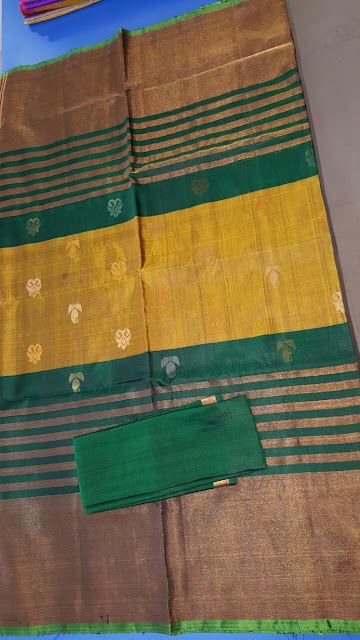 simple look and has big zari border. 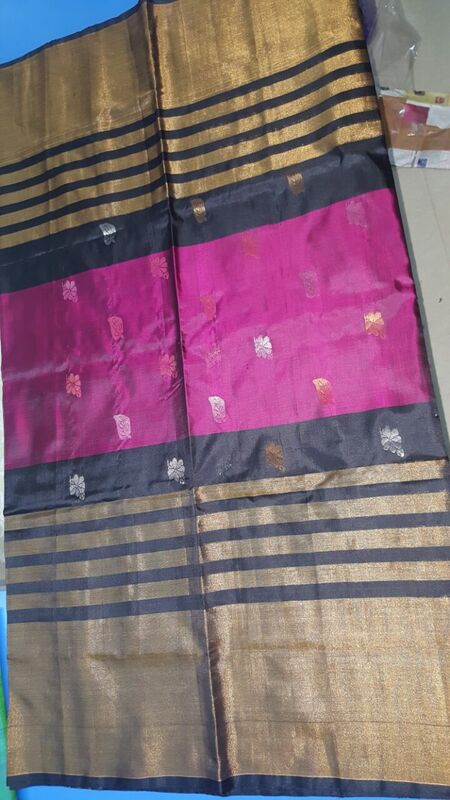 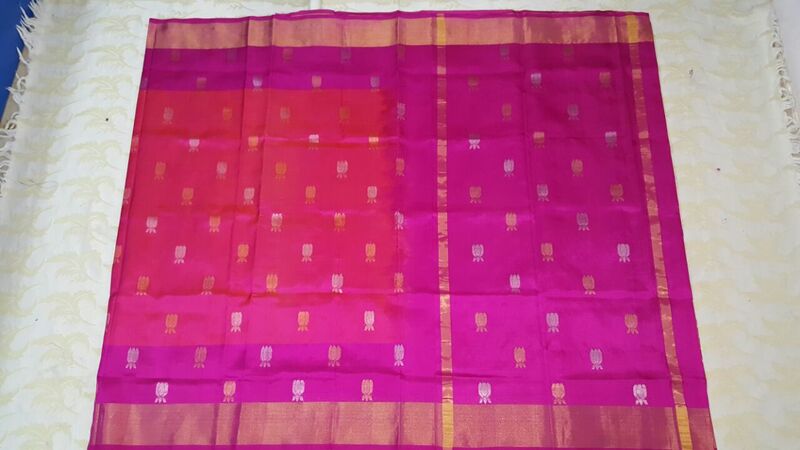 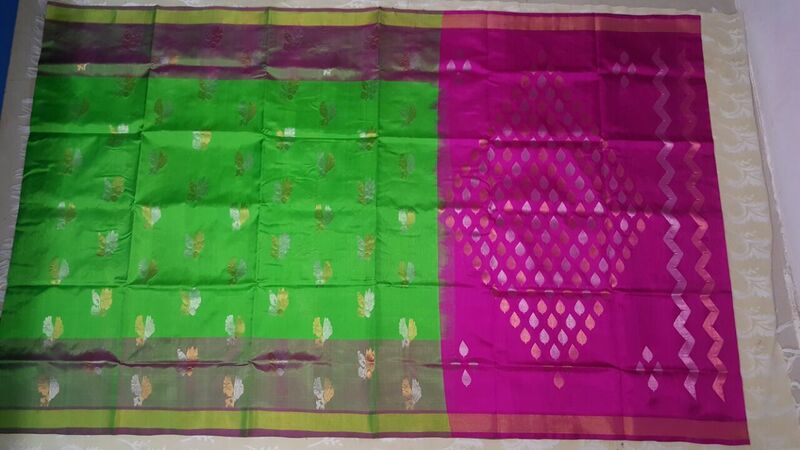 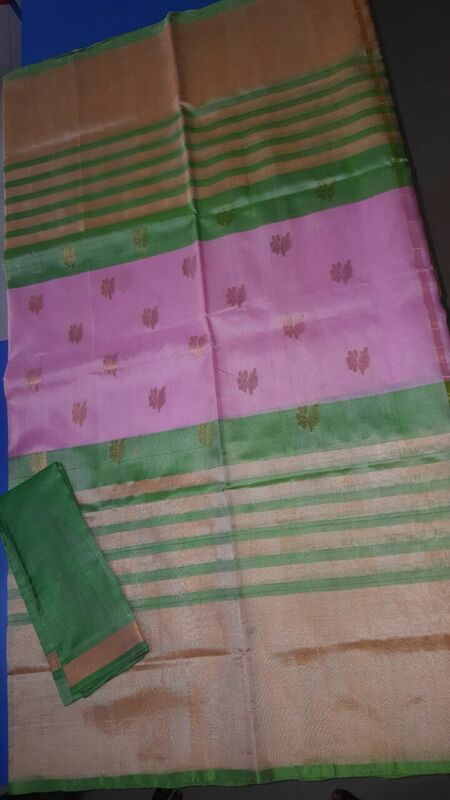 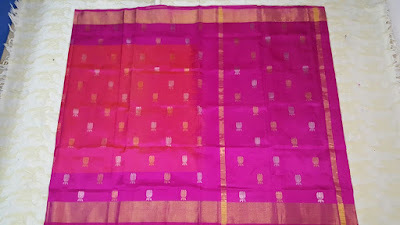 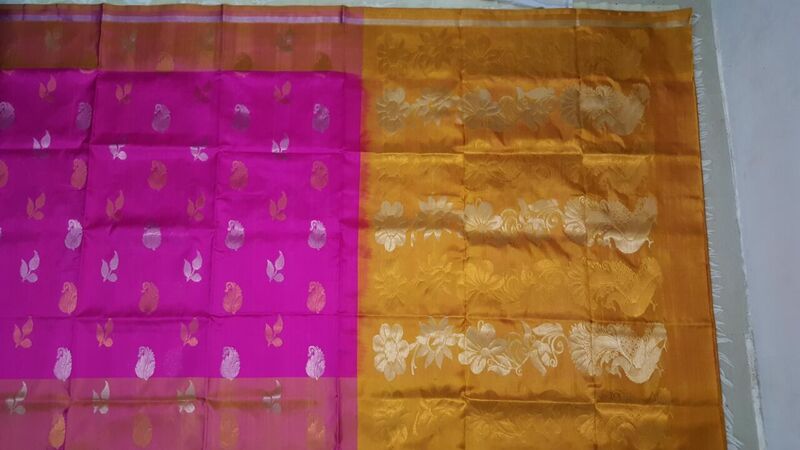 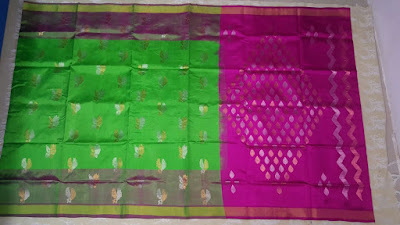 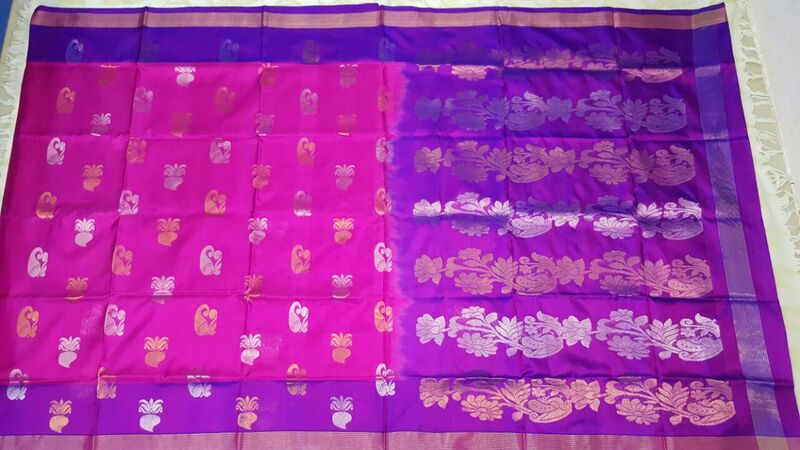 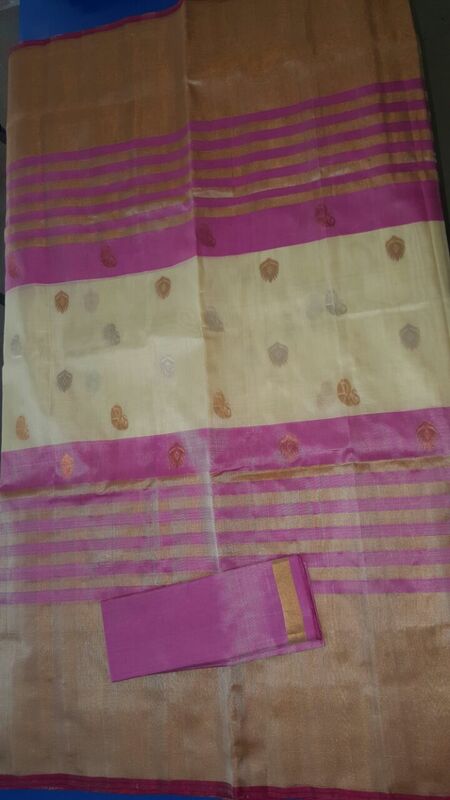 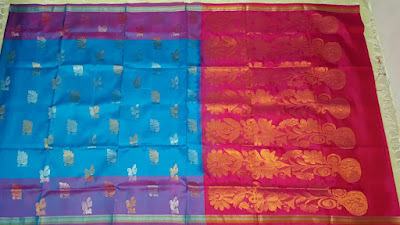 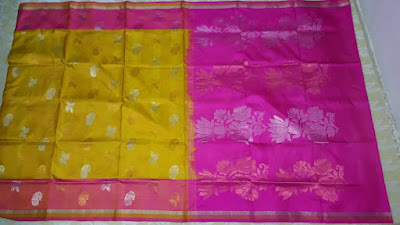 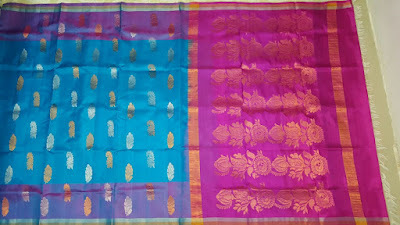 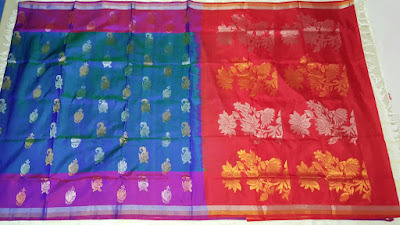 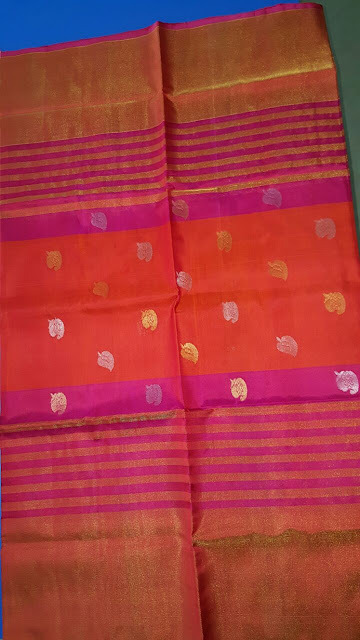 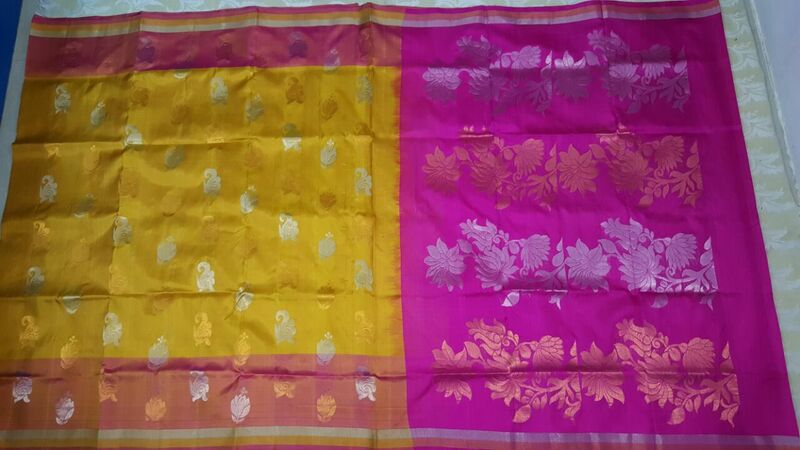 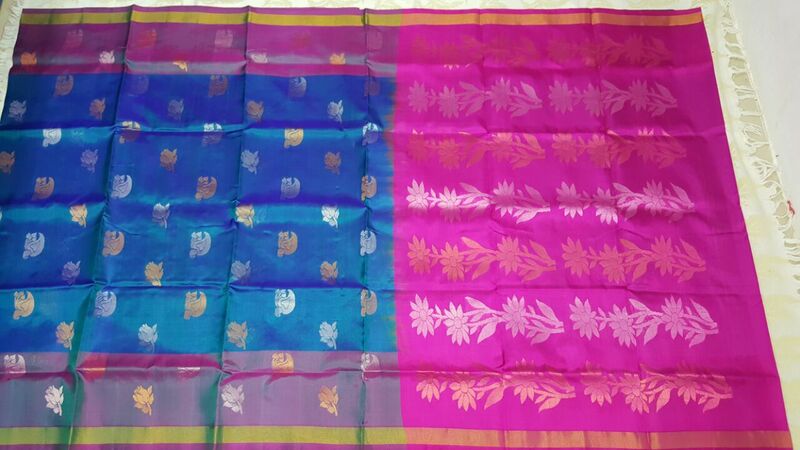 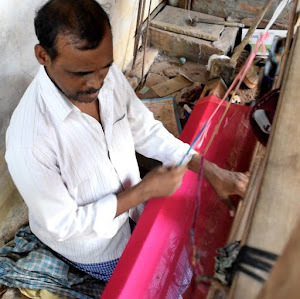 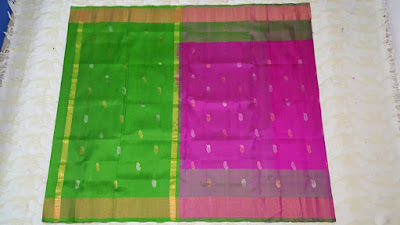 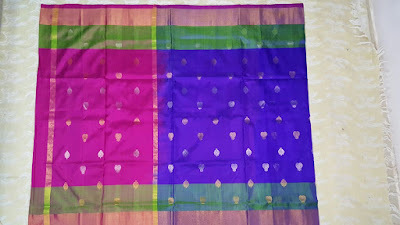 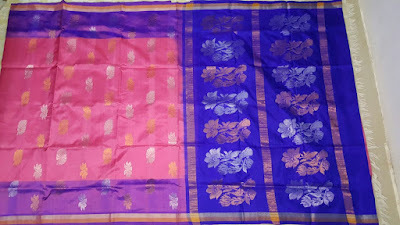 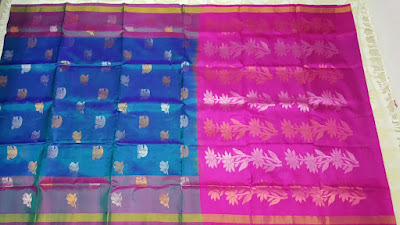 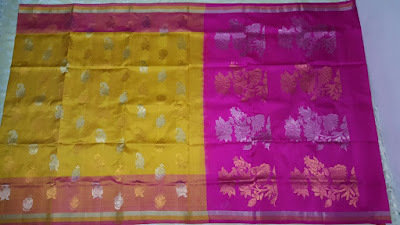 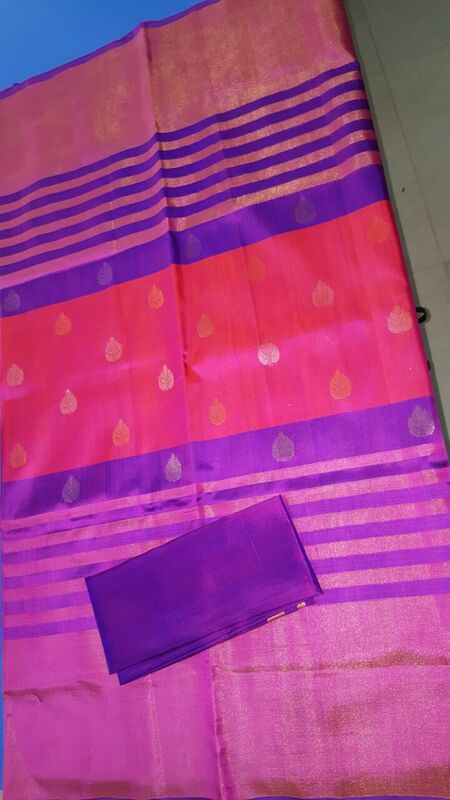 pallu is plain pink color.